What the %@&*! Happened to Free Speech? 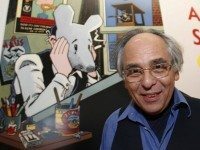 At his lecture on Monday, Art Spiegelman traced the graphic history of free speech from Mad Magazine to the Charlie Hebdo slayings. Are You Toronto’s Next Top Writer?